Tickets at the Door will be $26. Please have exact cash or check if you would like to pay with cash or check. Credit card readers will be in use at Houses 1, 2, and 10, until 1:00 PM. 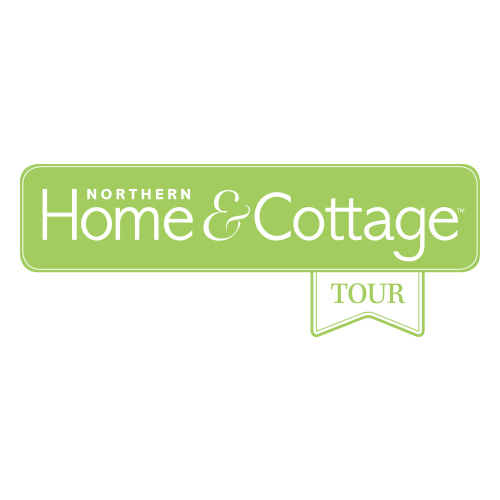 We have 10 houses spanning Traverse City, Leelanau & Old Mission homes and cottages curated by Northern Home & Cottage editors. Note: Without the zip code, Siri may take you to S. Center on the Leelanau Peninsula, which is a lovely drive, but not a home on the tour. From the intersection of Garfield and Front Street (or the W Grandview Parkway). Head north on S Garfield Ave toward Old Mission Peninsula 0.2 mi. Continue onto Peninsula Dr (Garfield becomes Peninsula) 0.6 mi. Peninsula Dr turns slightly right and becomes M-37 N/Center Rd. 4.2 mi. The destination will be on your left. We recommend continuing north .4 mi to Londolyn Terrace N, which is a looped drive, to turn around. Go back the way you came and then park on the west side of Center, so you don't have to cross Center. Note: Siri will suggest you turn left on Lake, which is prohibited now because of construction. We have parking arranged at St. Francis High School. Please don't park in the Oryana Food Co-op parking, unless you are getting groceries. From the intersection of Garfield and Front Street (or the aW Grandview Parkway). Head south on S Garfield Ave toward E State St 0.4 mi. Turn right onto E Eighth St 1.3 mi. Turn left onto S Cass St 0.2 mi. Park in the St. Francis High School parking lot on S Cass St. Cross S Cass St on foot, walk north one block to E Tenth St, turn right (east). Walk one block, the home is on your right at the end of the block. Note: From Long Lake Rd, Siri asks you to turn onto Lone Tree Lane, which is really Harris Rd at that point. From the intersection of US-31 S (aka Division) and W Grandview Pkwy. Head southwest on US-31 S (aka Division) toward W Front St 0.3 mi. Turn right onto W Front St 0.9 mi (away from Downtown). Front St turns into N Long Lake Rd. Continue onto N Long Lake Rd 1.2 mi. Turn right onto Harris Rd 0.3 mi (this turn is in the middle of a right-angle curve in the road. (Harris Rd also has a right angle turn, where Lone Tree Ln intersects Harris.) Continue straight onto Lone Tree Ln 0.3 mi. Lone Tree Ln turns left and becomes Lone Oak Dr 236 ft. Turn right onto Lone Beech Dr. 0.2 mi. Destination will be on the right. Note: The address for this home is Wayne St, but access and parking are from Incochee Rd. Head southwest on US-31 S (aka Division)toward W Front St. Take an immediate right onto Bay St 308 ft. Turn left onto Wayne St 0.6 mi, passing Ashton Park. We recommend continuing on Wayne St 1 mi for a loop with remarkable views of Grand Traverse Bay. Wayne St turns into Incochee Rd, continue on Incochee 0.3 mi. Destination will be on the left. Note: Kitchen Choreography has secured free parking in Parking Lot S on Tour day. Head southwest on US-31 S (aka Division)toward W Front St 0.3 mi. Turn left (towards Downtown) onto W Front St 0.4 mi. W Front St turns right and becomes Pine St. Continue 223 ft, and park in Parking Lot S, the sign is a big white "P" in a light blue circle. Park. Walk S on Pine St 213 ft. Uptown Ct will be on the right, directly across the street from Living Light Massage. From the traffic light at M-72 W and W Grandview Pkwy (M-22) by Tom's West Bay. Head west on M-72 W 12.7 mi. At the blinking traffic light, turn left to stay on M-72 W 3.0 mi. Turn right onto S Plowman Rd 2.6 mi. Turn left onto W Co Rd 616/W MacFarlane Rd 2.1 mi. Destination will be on your right. From south of the narrows between Little Glen and Glen Lake, on M-22. Head northeast on M-22 N toward Glen Arbor 1.9 mi. Turn right onto S Sunset Dr 0.6 mi. Slight left onto S Lake St 0.2 mi. Turn right onto Northwood Dr.0.5 mi. Destination will be on the right. From Downtown Glen Arbor, Art's Tavern on M-22. Head west on M-22 S toward S Lake St 52 ft. Take an immediate left onto S Lake St 0.5 mi. Turn left onto Northwood Dr 0.5 mi. Destination will be on the right. You might want to go to 9 Up North Heaven from 7 Shingle Style, before heading to 8 The Wow Factor. Note: There will be a shuttle to take you from a parking area to the home. Head east (north) on M-22 N toward Leland 1.8 mi. Turn left onto S Homestead Rd 0.2 mi. Veer right onto Woodbridge Rd. Follow the signs to the parking area near Nonna's Restaurant. 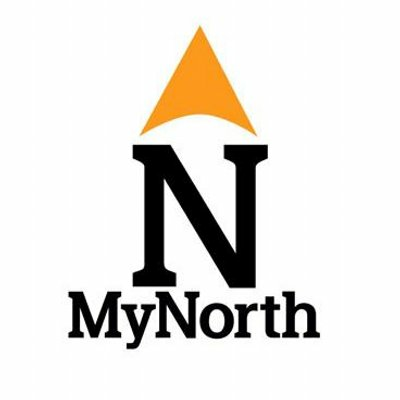 Look for the bright yellow MyNorth tent. Head east (north) on M-22 N toward Leland 1.2 mi. Turn left onto W Overbrook Dr 0.3 mi. Head south on M-22 S toward Glen Arbor 17.3 mi. Turn right onto W Overbrook Dr 0.3 mi. Note: S Penwood Trail is a new street. We have petitioned Siri/Apple Maps to add it, but don't know if it will be uploaded by the tour. Head east (north) on M-22 N toward Leland 18 mi. Follow the signs indicating a right turn onto S Penwood Trl. Destination is at the end of the drive. From the traffic light at M-72 W and W Grandview Pkwy (M-22) by Tom's West Bay. Head north on M-22 S/S W Bay Shore Dr. Continue to follow M-22 S 15.3 mi, into Suttons Bay. Turn left onto M-204 W/Race St (at the second blinking light in Suttons Bay). Continue to follow M-204 W 7.2 mi. Turn right onto M-22 N 1.7 mi. Follow the signs indicating a right turn onto S Penwood Trl. Destination is at the end of the drive. For privacy and security, no photography is allowed inside the homes. Please refer to your complimentary copy of Northern Home & Cottage for photos.